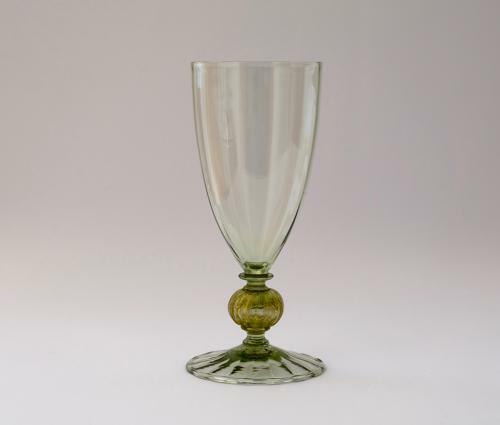 Goblet in sea green with optical ribbing to bowl and folded foot. The large knop with embedded gold foil inclusions. Designed by Harry Powell and made by James Powell & Sons Whitefriars C1910.